A 37 year-old man who apparently knew he had been living with HIV since he was 18, has pleaded guilty to "deliberately and maliciously" infecting his wife with the virus, and will be sentenced in August - he faces up to 25 years in prison. According to reports, he was 24 when he and his wife - then 16 - first met, and he did not disclose his HIV status to her. His wife apparently only discovered her HIV status when the couple's youngest child was diagnosed with AIDS; the child subsequently died. There are some important, worrying holes in this story: in particular, she had two children before the youngest one, so was the wife ever screened for HIV during any of her previous pregnancies, and why not for her third? The story says he infected her "some time between the [sic] January 1, 1994 and December 31, 2003," but if their child was diagnosed with AIDS in 1998, surely the prosecution must have claimed he infected her before the child was born? Since he has pleaded guilty, any further details are only likely to emerge during his sentencing hearing on August 1st. The story received widespread coverage throughout Australia last week, although they are all based on one report with one of two headlines: 'I gave my wife HIV' or 'Man deliberately gave child and wife AIDS'. A 37-year old Western Sydney man has admitted he deliberately and maliciously infected his wife of more than ten years with the deadly HIV virus. Ryan James Montgomery pleaded guilty to one count of maliciously causing grievous bodily disease in Parramatta local court yesterday. Montgomery said nothing and appeared emotionless during his short court appearance. The charge carries a maximum sentence of 25 years jail. Montgomery will be sentenced in Penrith district court on August 1. 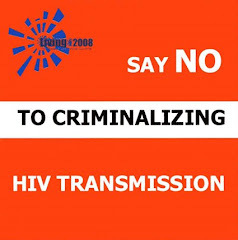 Montgomery, who is on a disability pension, infected his long-time partner and mother of his three children with HIV some time between the January 1, 1994 and December 31, 2003. His partner only found out she had contracted the disease when the couple’s youngest child was diagnosed with HIV in mid-1998. The child died in September 2001 from and AIDS-related illness. Montgomery and his former partner started dating in 1994 when he was 24 and she was 16. The first time they slept together, the victim claims she asked him to wear a condom, but Montgomery refused, saying “Do I look like I’ve got AIDS?”. Montgomery had been aware that he carried the disease since he was 18. Montgomery was supported in court yesterday by his mother and current partner.